One of Indonesia’s most well known food brands, the Mayora group is trying to establish a sugar plantation in the western part of the MIFEE area. 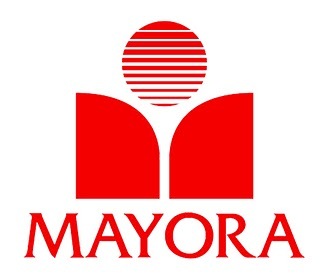 Company Description: Mayora Indah is primarily a manufacturer of sweets, coffee, biscuits and drinks, listed on the Indonesian stock exchange. It does not have much background in plantations, but now appears to be looking for land for sugar plantations in Banten, Java and Ketapang, Kalimantan as well as Papua. Plans in Merauke: Mayora Group is trying to develop a sugar cane plantation in Tubang District. At least three companies active in the area are believed to be linked to Mayora: PT Randu Kuning Utama, PT Kurnia Alam Nusantara, PT Swarna Hijau Indah. News from the Ground: Local people in Tubang report that Mayora is conducting survey operations and approaching local people. The survey groups are divided into three teams: One around Yowid, Dokil and Wamal villages which would be the site of a potential port, another team around Wobuyo and Dodalim, and a third around Bibikem, Ulili and Ilwayab. The companies have been trying to win favour by giving away goods, a practice universally referred to as ‘CSR’ (corporate social responsibility). Company staff are reportedly always accompanied by their security guard, members of the police mobile brigade (Brimob). International links: Mayora’s brands (Kopiko and Torabika Coffee, Energen drinks, Slai O’Lai biscuits, Kopiko candy, Beng Beng and Choki Choki chocolate snacks) are mostly sold within Indonesia. However selected lines are exported to around 50 countries around the world, especially the Kopiko brand. Destination countries are listed on the company’s website ( http://www.mayora.com/international-market/ ). A financial subsidiary, Mayora Nederlands, is based in the Netherlands.